Feel the spirit ... free the spirit - Feel the spirit ... Free the spirit! Ms Maggie Boogaart (choregrapher, dance teacher and ex-principal dancer) developed the "Feel the Spirit" workshops in 2006, as a result of the 50 interviews she had with woman from 50 different countries, in preparation for her dance-theater production "It's My Right" (in collaboration with AmnestY International). Her workshop encourages and helps women to get (back) in touch with their body, and reflect upon their emotional expression and experience through movement, talking and imagining. Boogaart's "Feel the Spirit" workshop was received with tremendous success in the Netherlands; between 2006 and 2009 Boogaart taught 150 workshops, had articles in many newspapers, magazines, several television interviews etc. Since 2010 Boogaart resides in Paris (France) and teaches the workshops by reservation. View video excerpt of Boogaart's performance in "It's My Right"
Read article on Boogaart's Feel the Spirit workshop in "Happinnez" and "Natural Body". This happens in a safe and fun environment and invites participants to consider what it feels like to be a whole person connected to their body, mind and soul! This can be a powerful but also empowering experience MOVING forward. "Feel the spirit ... Free the spirit" helps females in a positive and natural way to use and strengthen their own psychological and physical resources in order to improve their self-esteem and pursue their life goals. Ms Boogaart use principles of movement/dance and creative therapies (mediation, chakra energizing, visualization ... ) to help women explore, understand and accept their embodied selves, female energy, sensuality and amazing POWER! - want to become kinder to themselves and develop self-compassion. Re-connect with your emotions and your body. Dancer / teacher Maggie Boogaart (B.A.) has created the base for this workshop as a result of her choreography "It's My Right", on women's rights (produced in collaboration with Amnesty International). Since 2006, she has run more than 150 workshops in Holland and France with higly positive feedback and reviews from the press and participants. Boogaart trained at London Contemporary Dance School (London) and the Martha Graham School (NYC), after which she worked as dancer and guest-choreographer with modern dance companies in the Netherlands, New York City and Spain. In addition, she founded Dragon Productions in 1994, which enabled her to create her own dance-theatre productions with the collaboration of composers, actors, break-dancers, poets etc. Her choreographic language, often socially engaged, is always based on profound mouvement research in which the dancers/performers communicate the developpements of their inner landscapes in a non-verbal way to the audience. Since 2012 Boogaart co-directs PARIS MARAIS DANCE SCHOOL, a dance school with classes in classical ballet and contemorary-Graham for all levels, including a professional training program, together with her husband, ex-ballet soloist Ghislain de Compreignac. 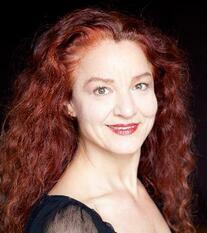 Boogaart now is the artistic director of the Jeune Ballet of her school. Note : Experience in dance is not required for the Feel the Spirit workshop – level of movement will be adapted to the level of participants. Please bring comfortable clothing (leggings, T-shirt, socks) and your favorite high heels for our 'power-walk' in the grand finale! send an e-mail to maggie@maggieboogaart.com to organize your workshop! All workshops are at the studio's of the Centre de Danse du Marais, 41 rue du Temple, 75004 Paris. Price: 55 euro pp for a workshop of 3 hours. Price: 65 euro pp for a workshop of 3 hours. Ms Maggie Boogaart (choregrapher, dance teacher and ex-principal dancer) and Dr Tina Grigoriou (psychologist and researcher) integrate their respective disciplines to offer a workshop that encourages and helps women to reflect upon their emotional expression and experience through movement, talking and imagining. "Feel the spirit ... Free the spirit" helps females in a positive and natural way to use and strengthen their own psychological and physical resources in order to improve their self-esteem and pursue their life goals. We use principles of positive psychology and movement/dance to help women explore, understand and accept their embodied selves, female energy and sensuality. Maggie and Tina invite you to Re-discover, Re-evaluate and Re-establish your beliefs about your self, your limitations and strengths in a safe and trusting environment. 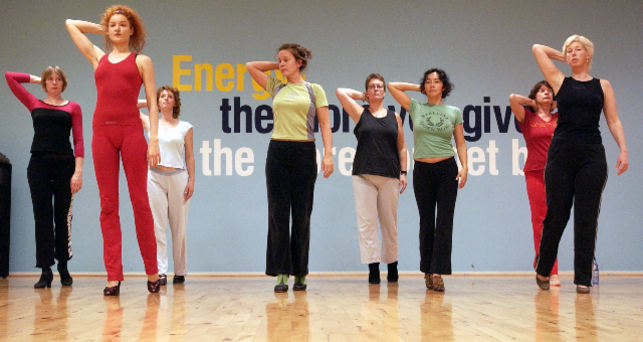 Note : Experience in dance is not required – level of movement will be adapted to the level of participants. Please bring comfortable clothing (leggings, T-shirt, socks) and your favorite high heels for our 'power-walk' in the grand finale! She has gained her experience both working in the NHS and in private therapy settings. She also worked as a research fellow for London Southbank University and contributed to publications of academic articles and books. Dr Grigoriou provides individual and couples therapy but has also worked with groups in the past. Since 2009 she works in her own private practice in London called Sloane Psychology. She provides therapy for a range of psychological and emotional difficulties such as depression, trauma, anxiety disorders, eating disorders, personality disorders, relationship problems, sexual difficulties, low self esteem, work related stress, loss etc.